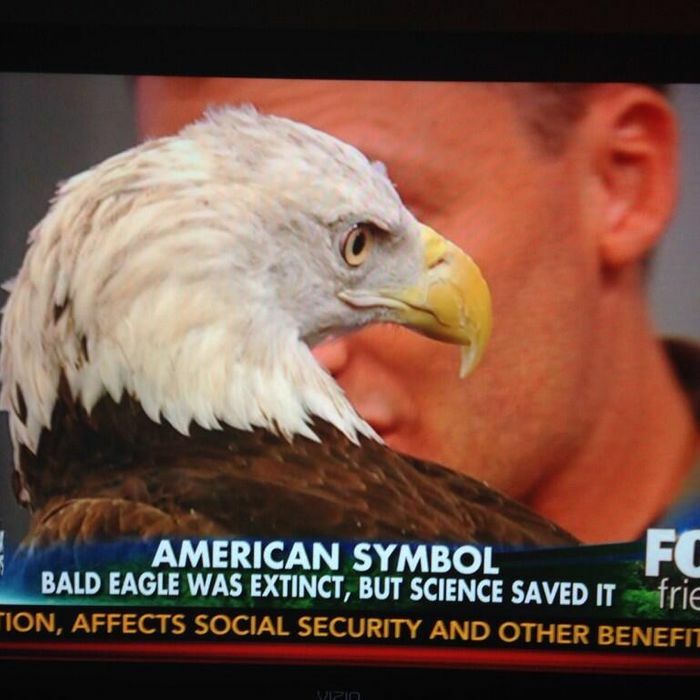 Brian Kilmeade: And is it true that bald eagles are known to wear toupees? Steve Doocy: Now this “bird of pray,” as you call it — it prays to Jesus, right? Elisabeth Hasselbeck: Does he get royalties for being on the presidential seal? Animal Expert: What is wrong with you people?